Inside: If you’re new to capsule wardrobes, you might get the wrong idea – that they’re expensive and complicated. But they don’t need to be! Get 4 simple tips to build an affordable spring capsule wardrobe this year. Spring is coming quickly, at least where I live (sorry, New Englanders! May is a loooong way off, I know). Our new city has the craziest weather: one week it’s FREEZING with six inches of snow, and the next week it’s almost 60 degrees. Those 60 degree weeks got me thinking about my spring clothes sitting in deep storage downstairs. While steady warm weather won’t be here for a while, now is a great time to start thinking about getting out those pieces to prep for your spring capsule wardrobe. You need to see exactly what you have, so you know what you need to look for now in order to be ready once that steady nice weather hits! Looking early can help you find the best deals to stick to your budget. When it comes to capsule wardrobes, I definitely prefer my fall and winter capsule wardrobes far more than my spring and summer ones. When spring and summer rolls around, my outfits are borderline uniform. This doesn’t bother me one bit: getting dressed in the morning is faster than ever. When you’re a work at home, homeschooling mom, time is your most precious asset. What I love most about the capsule wardrobe concept is the time and energy it saves me. As I mentioned in this post about how to get started with the capsule wardrobe, parents make SO many decisions every day. The more decisions you can eliminate from you life, the more energy you will have for the decisions that truly matter. I also try to overlap my capsule wardrobes as much as possible. My jeans from my fall/winter wardrobe, for example, are fairly versatile and can easily be incorporated into my spring capsule wardrobe. Currently, I have a very basic mix of jeans, shorts, loose and flowy tank tops, and light cardigans. I mix and match grays, blues, burgundies, and whites for the most part. My four spring shoe choices that go with every possible outfit you can find below. The one item I am still on the hunt for is a single dress for any formal occasion – and by formal, I mean I can’t get away with wearing my skinny jeans with a nice button down shirt. The ones listed below look like they just might fit the bill! I’ll keep you posted. But Aren’t Capsule Wardrobes Expensive? Capsule wardrobes have a reputation for being crazy expensive, probably because almost every capsule wardrobe post I’ve read brings up Stitch Fix. I’m not gonna lie, I love the idea of Stitch Fix. Every time I see it advertised, I soooo want to try it. The idea of never have to go shopping EVER is extremely appealing, and they have a very generous referral program which allows you to get clothes for free if people you refer sign up through your link. But I know from reading hundreds of Facebook comment threads that Stitch Fix IS expensive. Even the low budget option gets you delivered items that average $50 a pop. That’s just not in my budget and won’t be for a long time. It’s also not in most of my readers’ budgets, either. So no Stitch Fix reviews are coming from me for the forseeable future. Maybe someone will come up with a version for women on a tight budget sometime soon? This frugal mom can dream. Instead, I suggest figuring out what works for you through more inexpensive options first. I’d much rather see you go through a few Old Navy clearance items or thrift store jeans to experiment with your own style BEFORE investing in pricier pieces that will potentially last longer. What colors are the most flattering on you? What styles of clothes make you look your best? What clothes make you love to get dressed in the morning? What clothes best fit your lifestyle? What do you grab automatically and wear over and over? What piece do you get sad about when it’s in the laundry? Once you’ve figured out exactly what you love to wear, you can easily find similar replacements for pieces that eventually wear out. 1) Start with what you have. Your wardrobe probably already contains some great core pieces. Try things on; keep what mixes and matches easily. Always start with what you have and build on that. 2) Buy pieces that work across as many seasons as possible. I try to limit the number of season-specific clothing items I buy. I stock up on basics like tees, tanks, cropped jeans, and lightweight button downs. 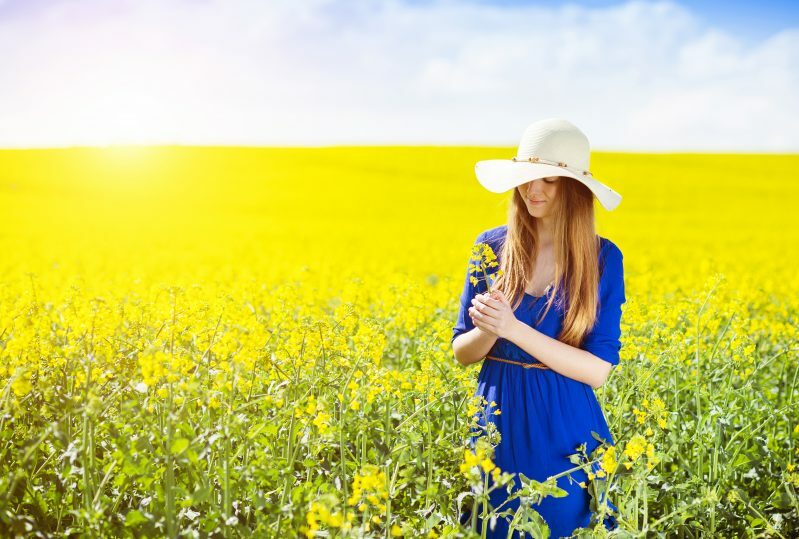 These items work for the majority of the seasons where I live,except a couple of extremely hot summer months (that may be different for you, depending on where you live). 3) Invest in quality when you can, but do your research. I try to invest in quality items when our budget allows it. The problem is that some higher priced items that have a reputation for being “quality” don’t last as long as I want them to. Sometimes the lower priced item will actually give you the most value for your purchase. My Croc rain boots, for example, have lasted two years already. They were $40. Had I bought Hunter’s rain boots (my research yielded mixed reviews), they would need to last eight years to give me the same value as the Crocs. Would they last eight years? Maybe, but I doubt it. Look for reviews online and ask in your network of friends. 4) Learn how to get clothes for free. I am fortunate to be able to get brand new clothes for my capsule wardrobes for next to nothing. My methods are not for everyone, but if you want to learn more about how I get brand new clothes for free, check out this post. The clothes you unpack from last year may be more than enough. If you don’t need anything new, don’t buy it! However, if you’re still looking for affordable pieces to add to your spring capsule wardrobe, I’ve got you covered. I put together a shopping list of inexpensive classic items with great reviews to fill in the gaps. Classic shorts that are actually a decent length can be hard to find. I don’t know about you, but especially after bringing four babies into the world, my legs just aren’t what they used to be. A good length inseam is a must. Skirts are a great way to add variety to your capsule wardrobe. As a work at home, stay at home mom, comfortable skirts that are also flattering make me feel feminine without being uncomfortable. I only figured out in my thirties that shirts with flow and give were much more flattering than the form-fitting tanks lining the tables at Old Navy and Gap. Loose-fitting tanks are a staple in my spring and summer capsule wardrobes. Once I find one I like, I buy multiples in a few different colors. While tanks have made up the bulk of my spring wardrobe in the past, I am going to add in some casual tees this year. These are both cute and affordable! I love cropped jeans because they can be worn in almost every season. The more I can get out of a clothing item, the better! If you already have these pieces from your fall and/or winter capsule wardrobes, get them back out for spring. Try to choose one in a color that will go with everything else in your capsule. I own one dress, and I’m realizing that it’s less than ideal. I need to find a classic dress that can be dressed up or down and is appropriate for any event. All of the reviews for these dresses were fantastic, and I couldn’t believe the prices! As soon as we have more money in our clothing budget, I am going to purchase one myself. Personally, I’m an earring girl. I don’t feel dressed for the day without wearing a pair. I own two pairs that work with everything in my capsule wardrobe. Whatever your jewelry preference, here are some versatile options to choose from. A couple of years ago, I purchased some Crocs flats on clearance at the end of the season. Those $13 Crocs have lasted two years and counting! They are comfortable and perfect for everyday outfits. When I first started looking at capsule wardrobe posts, Hunter’s rain boots were in every single one. $150?! No way! I also read several mixed reviews, mentioning Hunter’s required high maintenance care in order to keep them looking nice. I searched high and low for alternatives and ended up landing on these Crocs rain boots. They are a fraction of the price and have lasted two years so far. Never before have I been stopped so many times with questions about my wardrobe! Everyone wants to know where I got them. Strappy sandals are a spring and summer wardrobe staple. They easily dress up any outfit. Because I don’t wear them every day, the same pair of sandals has lasted me several years now. These options look affordable and get great reviews! Want More Help Creating Your Spring Capsule Wardrobe? Now, I’m no fashionista, and sometimes you just want a little more help from someone who has serious fashion skills. That’s why I was thrilled to learn about Get Your Pretty On! Alison is super talented at helping women learn how to build capsule wardrobes that work for their lives. Her capsule wardrobe challenges come with a shopping list of staple pieces to complete the challenge, along with daily e-mails with your “outfit of the day” based on the staple pieces in your capsule. The best part? You get to decide where to buy the clothes, how much they cost, to use clothes you already have that are on the list. 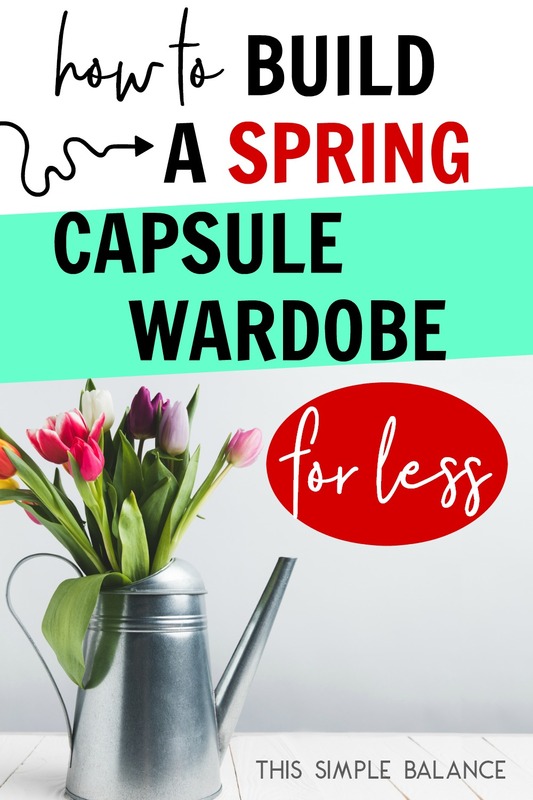 Alison creates fresh challenges for every season, but the most practical challenge, and the best overall investment in my opinion, is the Closet Staples Casual Capsule Wardrobe Builder. The closet staples shopping list includes 43 pieces of clothing and footwear and 13 accessories. Again, you can absolutely shop your own closet first! This wardrobe is designed with pieces that can be worn year-round and comes with 64 days of outfit ideas using the pieces on the shopping list. Buy fewer clothes, and be more confident than ever creating outfits you love and feel amazing in every single day. Check out The Closet Staples Casual Capsule Wardrobe Builder HERE. Creating capsule wardrobes has helped me SO much as a mom. My closet has tons of room. I love everything in it. I feel confident in every single outfit and can put together those outfits in seconds. And I am able to create that capsule wardrobe for very little each season. 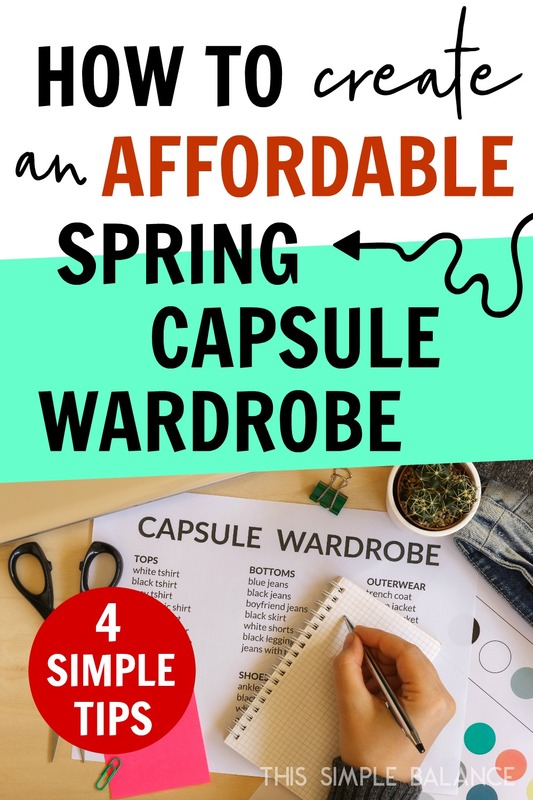 I hope this post helped you realize that capsule wardrobes don’t have to cost a fortune. They can be built on any budget.